Welcome to my electronic dossier. 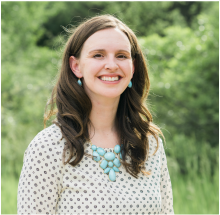 My name is Lindsay Chaney and I am an Assistant Professor at Snow College in Ephraim, Utah. I received my PhD in the Biological Science program at the University of Cincinnati. Previously, I was a Post-Doctoral Fellow at Brigham Young University and the US Forest Service Rocky Mountain Research Center. This website contains information about my research projects, publications, presentations, teaching, service, professional development, and my CV. Feel free to look around and contact me if you have any questions. My research interests are broadly in evolutionary ecology. I am particularly interested in understanding how plants are able to adapt to changing and/or stressful environments.